Kenmore is a small city of about 25,000 people in King County, Washington. Its location at the northern edge of Lake Washington and in the Puget Sound region make it a prime spot for waterfront views and activities. 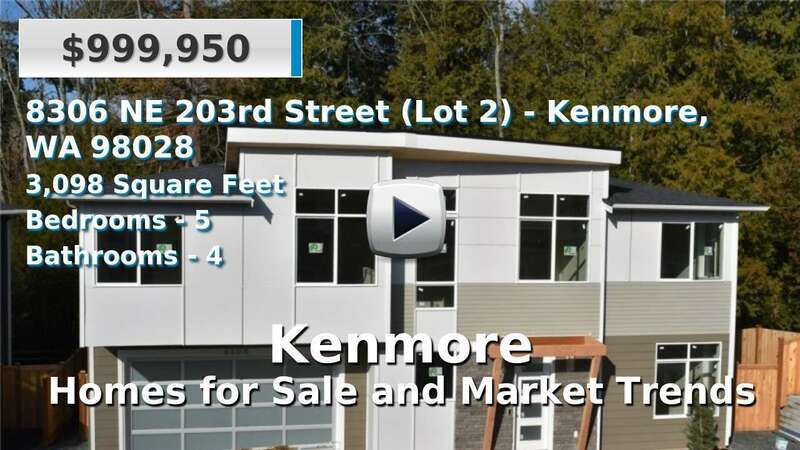 There are a mix of old and new homes for sale in Kenmore and most residents have a general commute time of 25-30 minutes. Though it was recently dense forest, Kenmore is now a thriving suburban center. It has been called one of the best metro neighborhoods in which to live, by several sources. Metro area neighbors include Seattle, Bellevue, and Redmond to the south and Lynnwood and Everett to the north. 2 Beds | 2.25 Baths | 2270 sq. Ft.
3 Beds | 2 Baths | 1583 sq. Ft.
2 Beds | 1.75 Baths | 1112 sq. Ft.
4 Beds | 2.5 Baths | 2392 sq. Ft.
2 Beds | 2 Baths | 1000 sq. Ft.
4 Beds | 2.25 Baths | 1840 sq. Ft.
4 Beds | 2.5 Baths | 2380 sq. Ft.